Voice over Internet Protocol (more commonly known as VoIP) is an excellent way to save your business money. By using your existing broadband connection to relay voice data, you only pay for your monthly internet service, plus a small monthly licence fee. 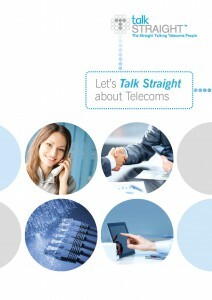 We offer a choice of VoIP phone services to ensure we match your requirements with your budget. Horizon is a complete hosted VoIP communications service for business, with an extensive range of fixed and mobile telephony capabilities. Perfect for multi-site businesses, it has an easy-to-use web based interface that gives IT managers complete transparency of all call activity taking place in your business. If you’re looking for the best value phone system, that’s reliable, can adapt to your changing business requirements, and still has lots of features, My Virtual Phone is exactly the cost-effective, alternative phone system you’ve been looking for. Designed for busy businesses and staff on the move, it is packed with clever telephone features. It’s best described as a virtual PBX, which is easy to use and simple to configure, and is a cost-effective way to take your business to the next level. Converting to VoIP is quick and easy. Find out more on 01133 222 333 or use our quick contact form. You can also download the My Virtual Phone product details to the right. For an overview of Horizon features please click here. Click on any of the buttons below to view our services.